Are you Considering Pancreatectomy? Congenital Hyperinsulinism International recommends becoming an informed patient or advocate for a patient before selecting a hospital for treatment and surgery, when time permits. Below is a list of questions and discussion points that may help patient families make decisions about surgery versus more conservative treatment and may help families choose a center for hyperinsulinism treatment and/or surgery. 1. Will the medical institution try medication to see if it is effective before considering surgery? 2. Will genetic testing be done prior to the F-DOPA Petscan procedure if it will be performed? 3. Will genetic testing results be explained? Where will the genetic testing be done? If the medical institution does its own testing, will it be confirmed by commercial testing sources like Athena and Counsyl? 4. Will the F-Dopa Petscan be performed prior to surgery? A Petscan can determine if the HI is focal or not, and the position of the focal lesion (when in fact it is focal). 5. Discuss surgical plans and Petscan results. 6. Discuss treatment options, surgical and nonsurgical. 7. Will histopathology of pancreatic tissue be performed to confirm the type of HI? With focal HI, histopathology during surgery increases the chances of positive outcome by guiding the surgeon in the removal of the affected tissue. 8. Ask the surgeon about the position of the lesion if it is focal. 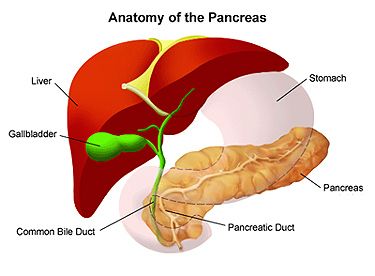 If the lesion is in the head of the pancreas, ask the surgeon if he or she performs the Roux-en-Y surgery allowing the surgeon to perform a partial pancreatectomy which still leads to a cure without significantly increasing the risk of diabetes. 9. Request statistics on surgical outcomes including all complications. How many pancreatectomies have been performed at the medical institution and by the surgeon who is being proposed to perform the surgery? How many babies with focal disease have been cured? How many with diffuse disease required a second and third pancreatectomy? How many patients who had sub-total pancreatectomies are diabetic? How many required medication after surgery? Have there been any deaths following surgery or during surgery? 11. Ask the team for the plan if low blood sugars persist in the immediate days following surgery? 12.	Who are the team members are and how effectively do they work together? The endocrinologist, surgeon, radiologist and pathologist should work closely together prior to surgery and after surgery. 13. What experience does each of the team members have with HI? 14. Does the institution have a feeding clinic?